Welcome to the major of the Fantasy Six Pack, where we highlight six golfers to use in two popular fantasy golf platforms, DraftKings and FanDuel. On each, you must select six golfers for your lineup under a specific salary cap. (DraftKings $50,000, FanDuel $60,000). As a reminder, I'm a golf nut with a 1.3 handicap and a nose for analytics — according to Rotogrinders, I'm one of the top 10 daily fantasy golf players. Skills emphasized: Harbour Town is known for demanding shot-shaping ability, and keeping the ball in play is vital this week. Strokes gained off the tee and good drive percentage will be major factors. Only Sergio Garcia missed the cut last week in our picks, and we also netted two top 5s with Spieth and McIlroy. Let's carry the momentum forward onto this week! DJ is still the No. 1-ranked player in the world, and the oddsmakers will not let his lack of course history stop him from being the odds-on favorite this week. It will be DJ's first trip back to Harbour Town, even though he went to school near here in Myrtle Beach. One of his main sponsors is RBC, this week's title sponsor, so it's no surprise he added this one to the schedule. Johnson has stated in the past that he loves this course, but in his words, "the results just aren't there." His dominance comes from his ability to overpower a course, and this course, you just can't simply overpower. Prior to the Masters, Johnson gained on average 1.1 strokes from tee to green and just about a half a stroke off the tee. If DJ keeps the ball in play this week, he obviously has a chance to win. 2. Emiliano Grillo (Odds: 35/1, DraftKings: $8,600, FanDuel: $9,600) Finally coming back into the form we saw his rookie year, when he won. He has come close a few times since then, but never prevailed. Now, Grillo is on a stretch of good golf that includes three top 10s in his last five starts, and he looks like another win could be coming soon. This will be his first trip to the RBC Heritage, but don't let that fool you — it was also Wes Bryan's first event as a pro at Harbour Town last year, and he came away with the trophy. When stats match up with real-time performance, that when we can get a good gauge on where the golfer's form is right now. Over the last 6 starts he's gained over a stroke from tee to green and just about a stroke putting. He's shown a balanced game off the tee, on his approach shots and around the green, which should bode well for him this week. This streaky Canadian found himself in the thick of it heading into the weekend last week. A lackluster weekend showing left him in 24th. Still it was a good performance for his second time around Augusta National and should give him all the confidence he needs this week. He's made the cut here the last 2 years, placing 22nd and 30th, and has been stellar from tee to green lately, gaining over two strokes in his last 6 starts. Looking to earn a trip back to Maui for the Tournament of Champions, Hadwin's got a great chance this week against a weaker field. Hoffman was Mr. Ace on Sunday and makes his way to Hilton Head this week. Hoffman's final-round hole in one catapulted him to 12th after a weak Saturday had taken him out of contention. It was his second straight year being in the mix — he can play with the best of ‘em. 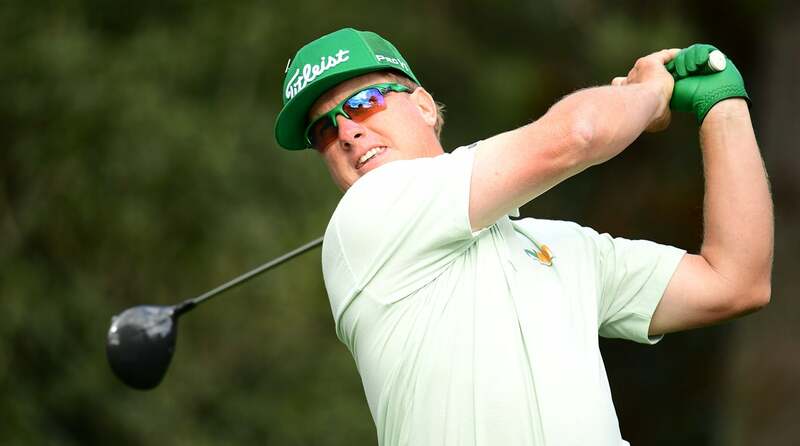 Hoffman missed the cut in Hilton Head last year, in part due to fatigue leading up to the Masters. He has good history here, though: before last year's missed cut, Charley had made five in a row at the RBC, finishing inside the top 15 three of those times. That's great upside for a guy priced in this range. Hossler had a near-win two weeks ago, but a chest-pounding Ian Poulter drained a 40-footer to force a playoff. Hossler then lost in that playoff. He played well from tee to green, as gaining on average just shy of two strokes per round, a drastic turn around from the weeks leading up to it. Maybe he found some form or got a great tip, but Beau has all the talent in the world, and it would not shock me to see him in the mix again this week. This will be his first trip to Harbour Town. Donald needs a mulligan on the last couple of years. The former world No. 1 has experienced success around the tour, but none better than at this tournament. Since 2012, Donald has three runner-ups, a third, a 15th place and a 37th. That's pretty remarkable. Donald will look to take his mulligan and restart his career/year with another strong showing this week in Hilton Head. 1. $5 Buy-in contest called the "Drive the Green". It has a top prize of $100,000 and a guaranteed prize pool of $500,000. 1. $7 Buy-in contest called the "Eagle" with a top prize of $30,000 and a guaranteed prize pool of $130,000. There are several more contests available on the two sites. For a full breakdown of all contests and offerings, check out the links in my bio. Good luck this week, and HAPPY WATCHING!